Waikoloa Beach HI lies on the South Kohala Coast on Hawaii’s Big Island, a rugged and undeveloped coastline lined with scenic valleys, active lava fields, unspoiled beaches, excellent golf courses and scenic oceanfront resorts, all back-dropped by the beautiful deep blue Pacific Ocean. Explore our many beaches, get lost in tropical rainforests, stroll through farmers' markets lined with delicious local produce, discover the fascinating history of the island at historical landmarks and celebrate Hawaiian culture at a traditional Luau set under the stars. Set around the long, sandy and well-protected Anaehoomalu Bay (known to the locals as 'A-Bay'), Waikoloa Beach is home to two spectacular championship golf courses, historic petroglyph fields, and ancient royal fishponds. A-Bay is a prime water-sports destination. Enjoy days of snorkeling, paddle boarding and discovering marine life from a glass bottom boat. For a day away from the beach, Kings’ Shops and Queens’ Marketplace offers the ultimate in shopping, dining and entertainment! Be sure to end your day watching the Green Sea Turtles soaking up the last rays as the sunsets among the coconut palms. Step back in time and immerse yourself in true Hawaiian heritage. Stroll the ancient pathways and petroglyph fields of Puako Petroglyph Archaeological Preserve and Kaloko-Honokohau, visit a 600-year-old traditional fishing village at the Lapakahi State Historical Park, the ancient temple of King Kamehameha at Puukohola Heiau National Historic Site and the royal grounds at Pu’uhonua O Honaunau. Unspoiled sand and surf, palm-fringed beaches, protected bays and beautiful coastal landscapes await you. From the white sands and crystal clear waters of Hapuna Beach State Park to the jet black shores of Punalu’u Beach, the Big Island has sands to suit every beach lover. Relax under the ancient Kiawe trees and snorkel the reefs at Waialea Bay (Beach 69), hike to the summit of Pu'u Ku'ili at Kua Bay or head to the pristine Kealakekua Bay State Underwater Park, a marine sanctuary rich in coral and colorful reef fish and home to the Captain Cook Monument. The Kona Coast is famous for its big game fish! Spend the day on a fishing charter and by night explore the oceans on a Manta night tour, the ultimate underwater adventure. Journey through the many incredible and spectacular natural attractions on the island. Experience a spectacular sunset and star gaze from the top of Hawaii’s most sacred mountain, Mauna Kea, home to the world’s largest astronomical observatory. Hike across charming footbridges and through tropical rainforests to some of the island’s most wondrous waterfalls. Climb to the top of one of many volcanoes, millions of years old, amidst unique landscapes and spectacular scenery. Mauna Loa is the largest volcano on our planet covering half of the island, Kohala Mountain is our oldest volcano and Mt. Kilauea is one of the world’s most active volcanoes, an incredible adventure for all. Mt. Kilauea stands tall in the Hawaii Volcanoes National Park, the #1 attraction in Hawaii and a World Heritage Site. Our island is home to unique plantations of the world's rarest coffees and the Kona Coffee Living History Farm tells the story of the Kona Coffee Belt, producing some of the best coffee in the world. The west coast of the Island, only an hour from the Kohala Coast is home to many more of the island's attractions. Visit the exotic birds and animals at the Panaewa Rainforest Zoo, wander through the beautiful Hawaii Tropical Botanical Gardens, zipline and explore the magnificent maze at Botanical World Adventures and sample the islands famous export, the macadamia nut, at the Mauna Loa factory. Historic downtown Hilo is home to one of Hawaii’s most stunning waterfalls, the Rainbow Falls, or head a little further north to the scenic Akaka Falls State Park, home to two amazing waterfalls, the Akaka Falls plunging 422 feet into the gorge below with a fun zipline above and the Kahuna Falls. ResorticaHawaii welcomes you to the Big Island! 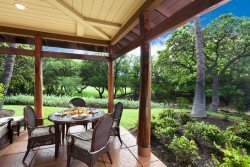 We have the perfect ‘home away from home’ in our Waikoloa vacation rentals for you to use as your home base as you explore this island paradise! Book online today!